Like many people Erin wants her kids to help with chores, but often their "help" takes longer or ends up being not as helpful as we'd like. That's normal and expected -- they're kids, and they need to learn. 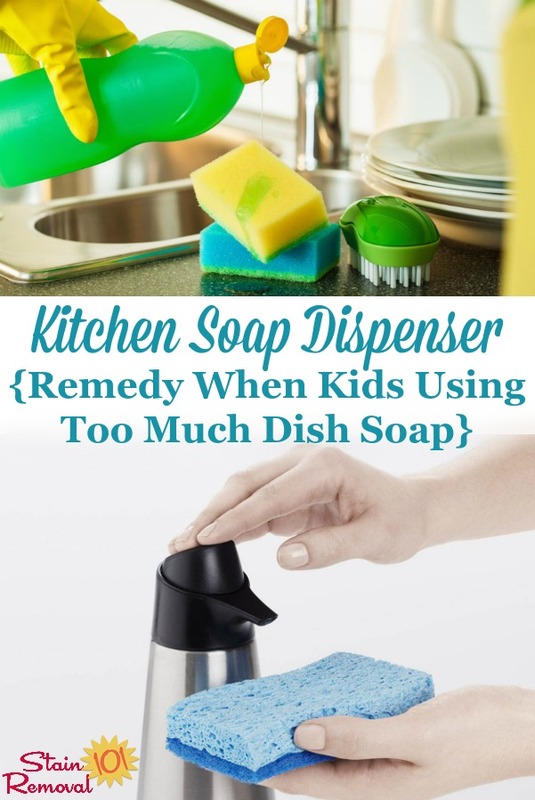 I liked this idea she shared for a DIY kitchen soap dispenser though, which solved a problem she was having while training her boys to help with the dishes -- that they were using way too much dish soap. As a mom to 6 boys we go through a lot of dishes and they take turns "helping" with the dishes. After all they never have an issue with helping to dirty them. But when they fill the sink they seemed to think that more suds was better. Half a large bottle of dish soap later we are ready to wash lunch dishes. So we solved this problem with pump dispensers that hand soap came in. A couple squirts and we were ready to go. We also have transferred almost all their hygiene products into these containers. This is another area where they tend to over-use, especially their bubble baths. Just thought I would share this tip with you. Thanks so much for sharing this idea Erin. 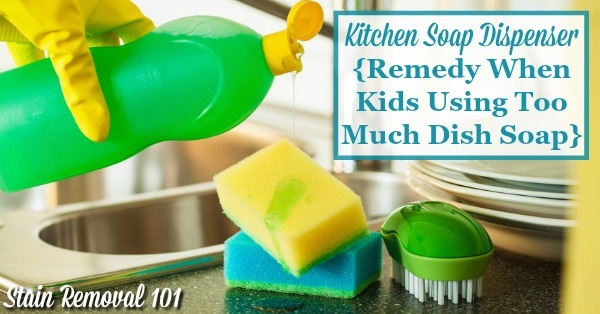 I know that we're working with our kids right now, especially since it is summer break now, to get them to do more chores around the house. 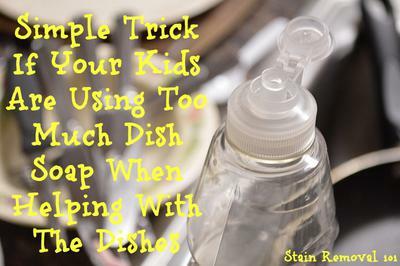 And with dishes they sure do like to use lots of dishwashing liquid! This might be helpful for adults too. 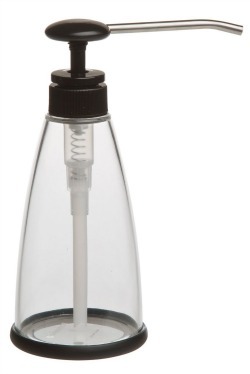 Plus it is prettier looking to have it in a container than the big bottle of dish soap too. Bonus! You can definitely use a hand soap pump dispenser, but I didn't realize they also have dish soap dispensers as well. 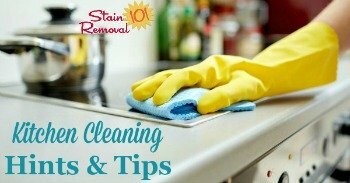 Do you have anymore kitchen cleaning hints or tips? If so, you can share them with me here and I'll add the best ones to the site. I have done this for years. It saves soap and gives the correct amount. Once I got a very large bottle of body wash with a pump. When empty I filled it with the dish liquid. Then cut out a pretty picture from a magazine and carefully taped it to the bottle to make an attractive, recycled dish soap dispenser that is one of a kind!! !